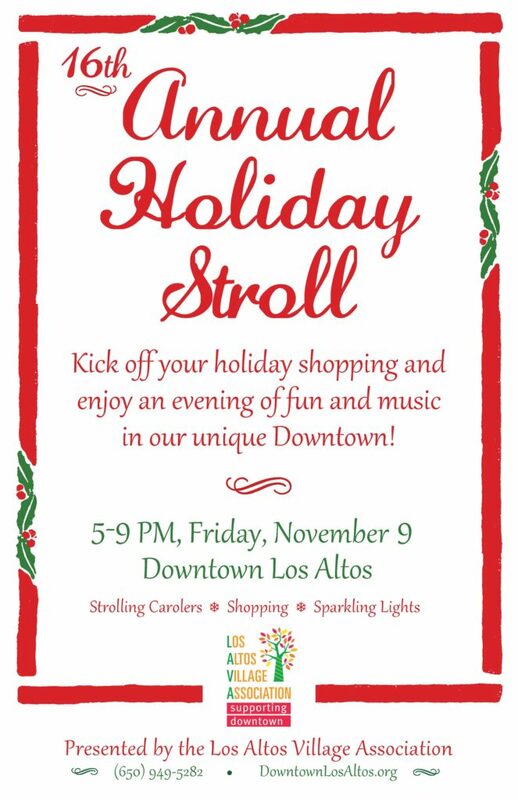 Join the Los Altos Village Association from 5-9pm on November 9th for the 16th Annual Holiday Stroll through Downtown Los Altos. Discover unique gifts, enjoy sparkling lights, strolling carolers, shopping specials and fun at shops throughout Downtown Los Altos. End or begin your festive evening with dinner at one of our many fine restaurants. Presented by Los Altos Village Association, and sponsored by Cranberry Scoop and Los Altos Town Crier.